Take advantage of the AnyWare™ Plus silverware basket's 100% usable rack space with this ENERGY STAR® and CEE Tier 14 qualified model. This basket cleans better and holds up to 12 more pieces of silverware for maximum flexibility. Designed to endure repeated use, this model also delivers years of reliable performance. No one has fewer dishwasher repairs 15 years in a row. With the industry-exclusive Overnight cycle and energy-efficient Eco Wash cycle, you can optimize water efficiency and still achieve excellent cleaning. 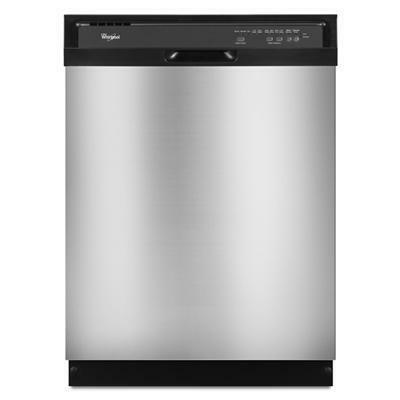 Most efficient dishwasher cycle helps minimize energy and water usage while cleaning dishes. Wash Cycles Normal Cycle. One Hour Wash. Eco Wash Cycle. Overnight Cycle. Heavy Cycle. Additional Information 4-Level SheerClean™ Direct Feed Wash System: Choose this option when additional cleaning of items like baby bottles glassware or dishes is required. NSF Certified Sani Rinse Option. Heated Dry Option. Auto Soil Sensor. Resource - Efficient Wash System. Quiet Partner™ II Sound Package. AnyWare™ Plus Silverware Basket. CEE Tier I Qualified.